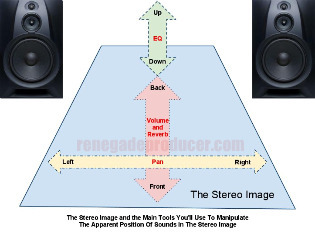 Part of mixing your own music is about how you position various sounds in the stereo image. 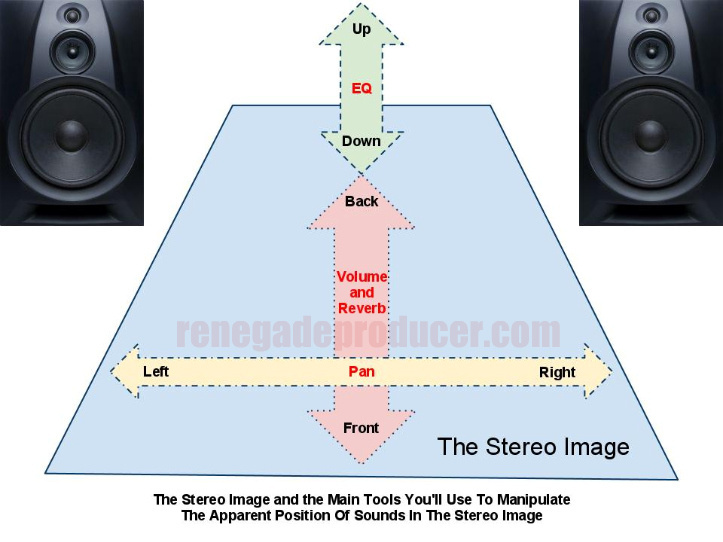 Below, you'll discover the 4 main tools mixing engineers use to position sounds in the stereo image. The stereo image is a psycho-acoustical space created in the mind of the listener when they sit between two speakers playing slightly different signals. Your job when you mix is to create the stereo image for the listener. Sounds can appear to originate from or drift between the left and the right side of the image. Sounds can appear to originate closer or further away from the listener. Sounds can appear to originate higher or lower in the image. Pan controls allow you to move sounds either hard left, hard right or anywhere in between. This tool distributes the energy of the channel between the two speakers. You will, for example, usually leave a kick drum, bass and lead vocal panned dead center and pan your hi-hat slightly left or right. You can pan two overhead cymbals hard left and hard right. There are standard practices for panning tough these aren't set in stone. Panning allows you to create a well-spread mix with a good symmetry between left and right speakers. Feel free to experiment with panning when mixing your own music. The louder the sound the closer it appears in the stereo image which means you can move a sound forward in the mix by raising it's volume. Vice-versa, you can move the sound of an instrument back by lowering the volume fader for the sound. There are no hard and fast rules here either as it all depends on the type of music you're mixing and the type of mix you want to create. 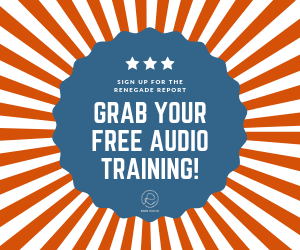 You may for instance have a hip-hop or dance kick loud for that in-your-face effect or have a softer more distant sounding kick for a softer jazz number. Reverb can also affect the perceived depth of a sound in your stereo image. This happens because we perceive sounds with a lot of reverb to be more distant than sounds with little or no reverb. The more reverb mix you add to your dry source sound, the deeper the sound appears in the mix. A completely dry sound will appear much closer in the mix than a sound at the same level with reverb added. High frequencies appear to originate higher in the mix than lower frequencies. Now, there's no science I know of to back this up though it has been my personal experience that this is the case. I hope this article makes mixing your own music a bit easier!